There is more to blogging than meets the eye. Although each person begins blogging for a different reason, having a blog provides a variety of benefits. Take a look at our list of different reasons that a person should begin blogging! Blogging requires a person to write and write often! As the writing continues, it would seem natural that the writing skills improve. No longer having to look up how to spell “receive,” knowing how to write unique sentence structures and knowing how to write in a way to capture an audience. Blogging requires a lot of time, time management, discipline and perseverance. A blogger has to plan out what to blog or when to blog it. He or she has to be determined to continue blogging even after a bad day at work, writer’s block or negative comments. A blog can be a way for one person to inspire others who might be in similar situations or craving similar content. A blog can give others the necessary inspiration to overcome a struggle or learn from your personal experiences. It is amazing to me how blogging can open a person up to a whole new world of people. Your audience will leave comments or send emails; and you can actually form lasting relationships with your audience. Blogging is a nice side job or hobby that could earn you some extra spending money! While it may not be your #1 source of income, it could certainly help pay for that new item you’ve been dying to buy. 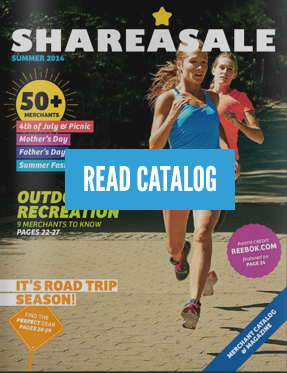 If you are unfamiliar with how your could do this, ShareASale is the perfect place to start. As an Affiliate Network, we help you find products to fit your blog, track which transaction have earned you commissions, report the transaction to you and most importantly – send you a payment on time every month for your commissions! Most blogs have a specific focus or niche. Once you’ve picked your niche, you must give readers a reason to come back (often!). It is important to prove to your readers that you are an expert in your field – fashion, business, deals, etc. To do this, you are forced into continuously learning about that particular topic. A blog is meant to be read. Anyone on the internet has the ability to read your words, thoughts and posts. As other people learn more and more about who you are, you also become more comfortable in yourself. A blog can be a form of a portfolio. An online portfolio could help a person in finding a job down the road. The author can use it to showcase their work, their knowledge and show readers and potential employers his/her personality through both the blog’s design and the individual posts. Sometimes it is difficult to keep ALL your friends and family up-to-beat on your life. A blog can help with that. It can be an easy way to stay connected to your loved ones despite geography. Are you looking for a challenge? The internet is constantly evolving – just when you think you know everything, something new is introduced. Challenge yourself to starting a blog and, in turn, it will help you learn a growing industry and introduce you to the world of Affiliate Marketing. If any of these reasons resonate with you, think about starting a blog! Just for fun, here are a few of my favourite blogs! House of Earnest is the place for Home Decor, Hand Made Projects and Party Style made easy. My style is simple, natural, rustic and slightly modern. Take a look around, leave a comment and have fun! That’s the whole point, right? I’m excited to share the new periwinkle Reebok #Skyscape kicks I’ve been rocking! They’re super comfortable/lightweight & add that pop of color to my normal black/grey/white get-up. Also, for extra flair I added a gold ankle bracelet. A good list. How about adding “Altruism” or “giving back to the society?” As a volunteer to a noble cause, one can help create awareness to the cause or even get funding. I just found this post, so I’m a bit late to the party, but I think blogs are an amazing way for the “common” person to get their voice heard. There has never been a time in history when it was so easy for a “regular” person, without any connections, to share their ideas with the world. I think we sometimes take this ability for granted nowadays, but throughout history, people have given all they had just trying to get the world to hear their message. Today they can do it on a free blog. Amazing.